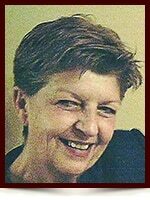 Darlene Simmons - Edmonton's Burial & Cremation Professionals | Trinity Funeral Home Ltd.
On October 23, 2014, Darlene Simmons of Edmonton passed away at the age of 67 years. Darlene is survived by her only son Todd (Andrea) of Chestermere, Alberta; grandchildren: Mackenzie, Kayley, Kateka and Zaedra; brothers, Lawrence (Doreen) and Bill (Audrey); as well as numerous other relatives and friends. Darlene was predeceased by her parents, Florence and Harry Simmons; sisters: Dorothy, Irene and Joy; and her brother Clarence. miss our short visits at Denny Andrews when I was in town, and the yearly birthday chats.